Peter Tristram ... "Slowly but surely Chris and I are blooming the many new species we imported before the Xylella restrictions. Some will pup and/or set seed, others will die and be lost from Oz maybe forever. I hope T. celata is not the latter! 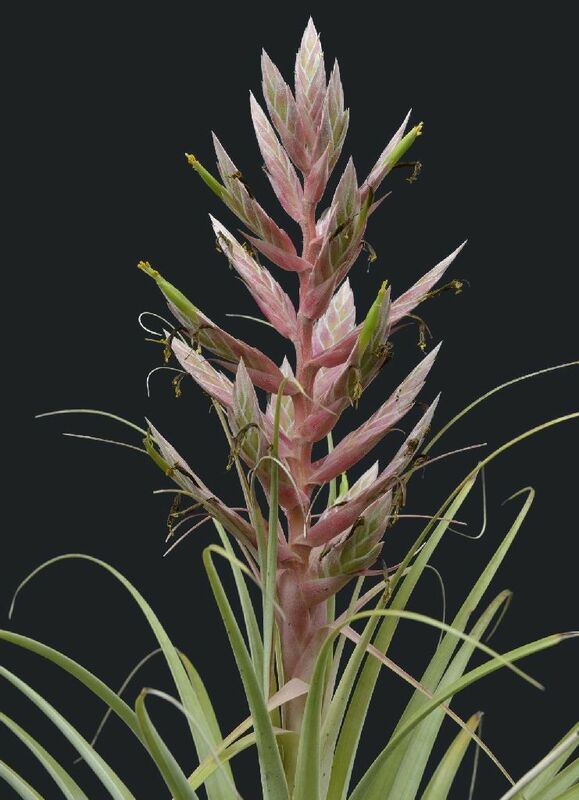 It is relatively recently described (2006 in Die Bromelie), gorgeous, medium sized, lithophytic species from San Mateo, Penasco, Mexico. It reminds me of T. bourgaei which also blooms and dies. I sure hope it sets viable seed as it definitely won’t pup, nor have there been any adventitious pups. The last one bloomed upside down before I realised so I missed the chance to get good pics – it didn’t set any seed! I think Chris has one too so you never know. 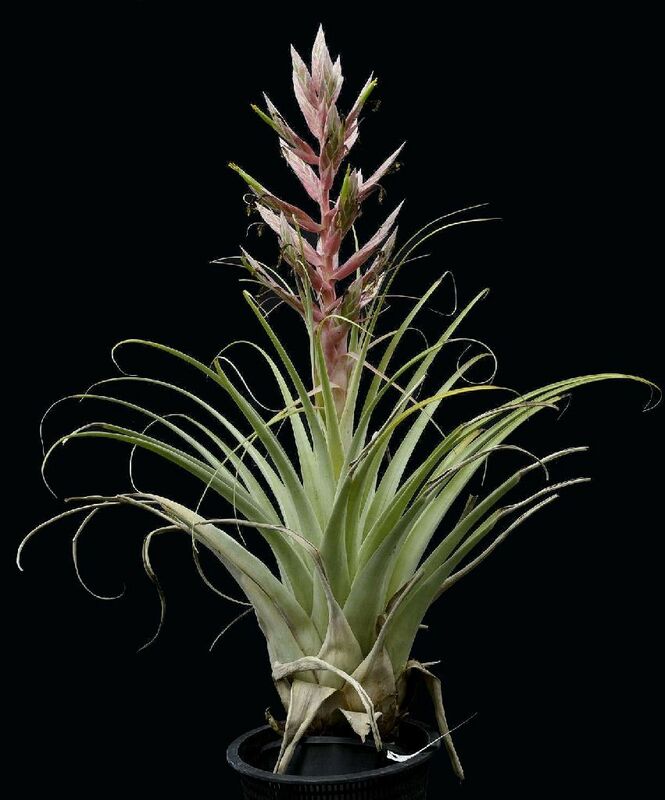 For the record I have tried for some hybrids too with species like bulbosa, carilloi and trauneri – how long will I live?"